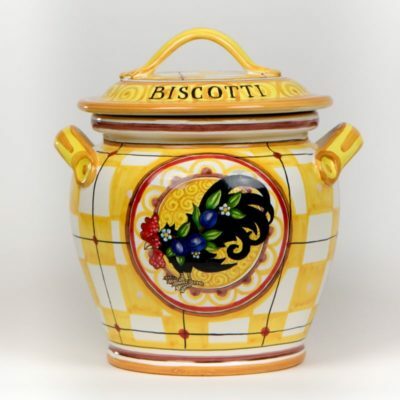 This Biscotti Jar, Italian for Cookie, is the perfect addition for any kitchen countertop. There is ample room to store cookies, dog treats, crackers or anything you need in a pinch. Its exclusive design is handcrafted in Italy which features a rooster, the notorious welcome symbol of Tuscany.